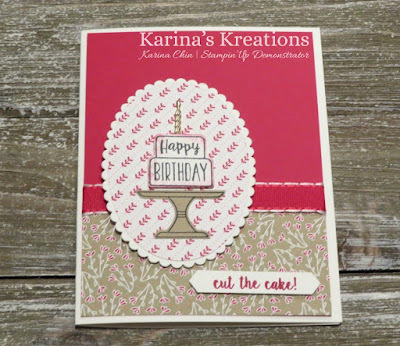 Karina's Kreations: Stampin'Up Piece of Cake! Do love making quick cute cards? 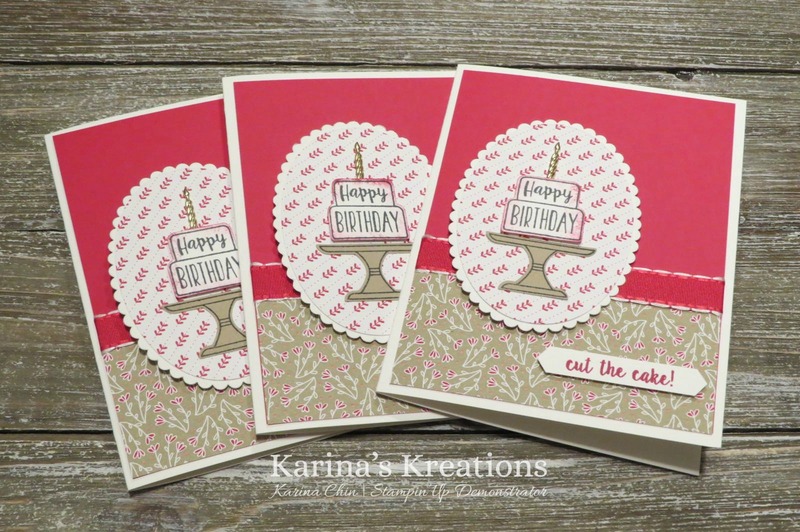 If your answer is yes then you will love the new Piece of Cake stamp set and coordinating Cake Builder Punch. It's only $41.25 for the bundle and has 6 different cake images for all occasions. This set is part of my kits by mail series. I'll provide all the details tomorrow. This is one of the cards. I think the candle makes the cake. The candle embellishments are in the annual catalog. 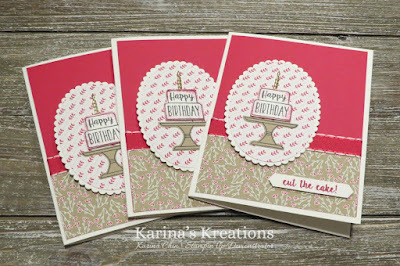 Click on a picture below to go to my Online stamping store if you live in Canada.